The usefulness of popular traditional and modern songs in language teaching has always been obvious. Now there are two new collections which include notes about the songs for extra language work. 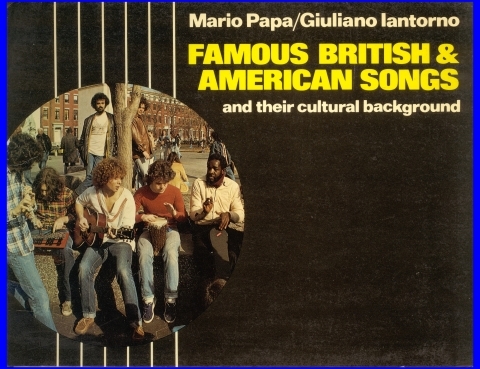 Famous British and American Songs and Their Cultural Background is the title of the first collection written by Mario Papa and Giuliano Iantorno and published by Longman, London, 1979. The songs are recorded on cassette and the accompanying songbook includes passages on aspects of British and American culture relating to the songs. The passages are ideal for supplementary reading practice or for stimulating classroom discussion. The other collection is from Longman Inc, New York. Called If You Feel Like Singing, it covers twenty-eight well-known American folksongs. Again the songs are recorded on cassette and the songbook contains historical and cultural notes about each song, as well as a glossary of difficult words, pronunciation notes and a variety of exploitation activities.